Any combination of Analog and Digital I/O from 25 differents modules. The MAQ20 communications module is offered in two models and provides the connection between a host computer and a MAQ®20 Data Acquisition System. 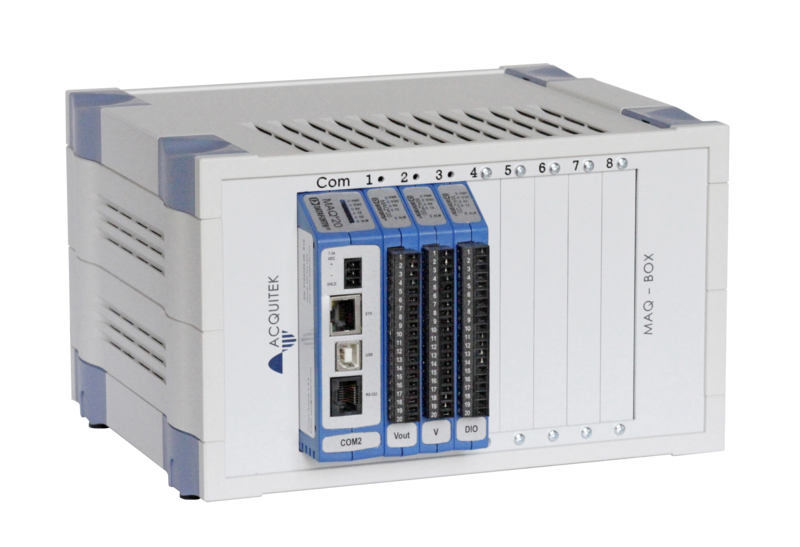 MAQ20-COM4 communicates using Ethernet, USB, or RS-485; MAQ20- COM2 uses Ethernet, USB, or RS-232. 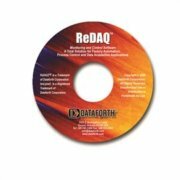 Ethernet communications use the Modbus TCP protocol and USB communications are based on the Modbus RTU protocol, which RS-485 and RS-232 communications also use. Serial communications over RS-485 can be either 2-wire or 4-wire. The MAQ20 strain gage input module offers 4 input channels and can interface to full, half, and quarter bridge sensors using 4-wire or 6-wire connections. All channels are individually configurable for range, alarms, and averaging to match the most demanding applications. MAQ20 current analog input modules interface to a wide range of milliamp sensors and equipment used in industrial and test and measurement applications. They offer 16- channel single-ended input for precise measurement of current signals. All channels are individually configurable for range, alarm limits, and averaging to match the most demanding applications. High, Low, High-High and Low-Low alarms provide essential monitoring and warning functions to ensure optimum process flow and fail-safe operation. Hardware low-pass filtering in each channel provides rejection of 50 and 60Hz line frequencies. Field I/O connections are made through a pluggable terminal block with four positions provided for the termination of wiring shields. MAQ20 current analog input modules interface to a wide range of milliamp sensors and equipment used in industrial and test and measurement applications. They offer 8-channel differential input for precise measurement of voltage and current signals. All channels are individually configurable for range, alarm limits, and averaging to match the most demanding applications. High, Low, High-High and Low-Low alarms provide essential monitoring and warning functions to ensure optimum process flow and fail-safe operation. Hardware low-pass filtering in each channel provides rejection of 50 and 60Hz line frequencies. Field I/O connections are made through a pluggable terminal block with four positions provided for the termination of wiring shields. The MAQ20 thermocouple analog input modules have 8 differential input channels. Separate models are offered for interfacing to Type J, Type K, Type T and Types R and S thermocouples. Cold Junction Compensation uses four internal sensors resulting in industry leading measurement accuracy in any system configuration and over the entire system operating temperature range. All channels are individually configurable for range, alarm limits, and averaging to match the most demanding applications. High, Low, High-High and Low- Low alarms provide essential monitoring and warning functions to ensure optimum process flow and fail-safe operation. Hardware low-pass filtering in each channel provides rejection of 50 and 60Hz line frequencies. Field I/O connections are made through spring cage terminal blocks with four positions provided for the termination of wiring shields. The MAQ20 voltage output module offer 8 isolated voltage outputs. All channels are individually configurable for range and programmable output to match the most demanding applications. High level per-channel isolation gives the module unmatched ruggedness and flexibility while default outputs provide essential functionality for fail-safe systems. User defined waveform outputs allow applicationspecific sophisticated, autonomous control. Field output connections are made through a pluggable terminal block which simplifies wiring during system setup and reconfiguration. The MAQ20 current output module offer 8 isolated current outputs. All channels are individually configurable for range and programmable output to match the most demanding applications. High level per-channel isolation gives the module unmatched ruggedness and flexibility while default outputs provide essential functionality for fail-safe systems. User defined waveform outputs allow applicationspecific sophisticated, autonomous control. Field output connections are made through a pluggable terminal block which simplifies wiring during system setup and reconfiguration. The MAQ20-DIOL discrete input/output module has 5 isolated discrete input channels and 5 isolated discrete output channels. 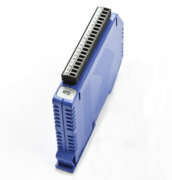 Input channels accept 3-60VDC signals and output channels switch 3-60VDC signals at up to 3A load. The MAQ20-DIOH discrete input/output module has 4 isolated discrete inputs and 4 isolated discrete outputs. 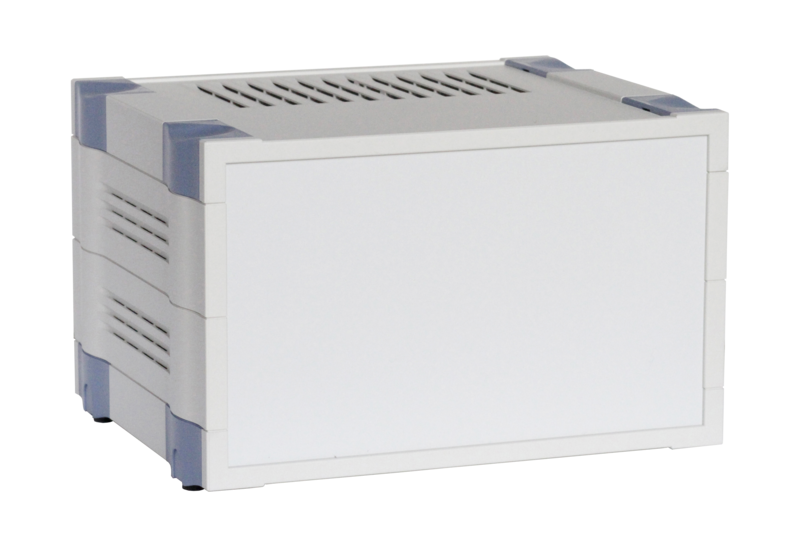 Input channels accept 90-280VAC/VDC signals and output channels switch 24-280VAC signals at up to 3A AC load. NOTE: DIOH output channels switch AC loads only. MAQ20 voltage and current analog input modules interface to a wide range of volt sensors and equipment used in industrial and test and measurement applications. They offer 8-channel differential input for precise measurement of voltage and current signals. All channels are individually configurable for range, alarm limits, and averaging to match the most demanding applications. High, Low, High-High and Low-Low alarms provide essential monitoring and warning functions to ensure optimum process flow and fail-safe operation. Hardware low-pass filtering in each channel provides rejection of 50 and 60Hz line frequencies. Field I/O connections are made through a pluggable terminal block with four positions provided for the termination of wiring shields. 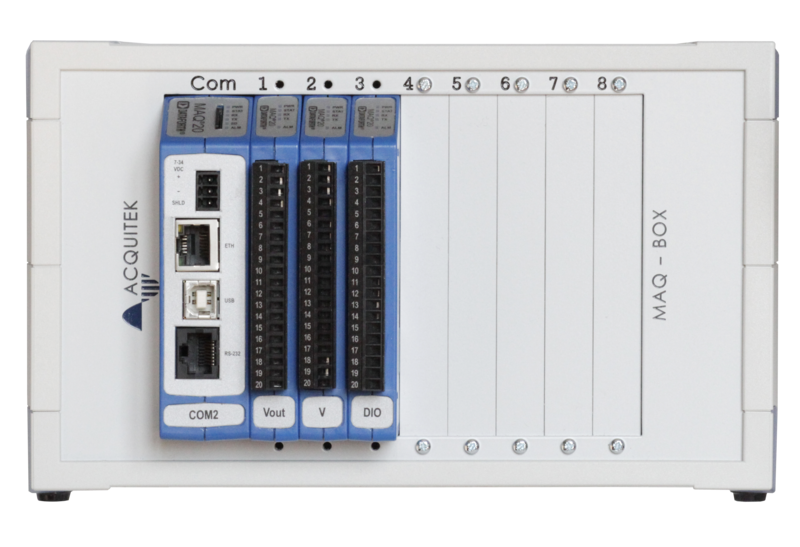 The MAQ20 frequency input module offers 8 input channels for measuring frequencies up to 1MHz. All channels are individually configurable for range and alarms to match the most demanding applications. Four controllable outputs can be used for sensor excitation or as 5V logic compatible outputs. High, Low, High-High and Low-Low alarms provide essential monitoring and warning functions to ensure optimum process flow and fail-safe applications. Field I/O connections are made through a pluggable terminal block with positions designated for the termination of wiring shields.